In 1985, Glenesk in the Highlands closed its doors as a distillery. Only the own malting plant remains in operation. It started in 1897 as a single malt distillery under the name Highland Esk. After some closures due to war or fire, Glenesk was converted into a grain whisky distillery in 1939 and given a new name: Montrose. This lasts until 1964 when the business is turned over again into a malt whisky distillery. It is now called Hillside. 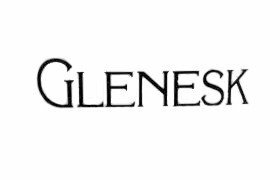 In 1970 a drum maltings was built next to the distillery and in 1980 the name changed again to Glenesk. Up to and including 2016, around 80 bottles of Glenesk single malt whisky have appeared. Mainly from independent bottlers. Probably no new bottlings will be released anymore.